Mantis Mineral Corp. (“Mantis“) (CNSX:MYN) and Gondwana Energy Corp. (“Gondwana“) are pleased to announce that they have entered into an agreement providing for a business combination of the two companies (the “Business Combination“). Gondwana is a private company existing under the laws of Ontario which is engaged in the acquisition, exploration and development of oil and gas properties in Ghana, Africa. Mantis is engaged in the acquisition, exploration and development of mineral resource properties in Canada. Gondwana was formed on September 6, 2013 and to date has acquired a 70% interest in Miura Petroleum Limited, which holds a right to negotiate the acquisition of an interest in the off-shore license block at West Cape Three Points – South Block, located in Ghana, Africa and comprising approximately 1,604 square kilometres. The Business Combination will be structured in the form of an amalgamation pursuant to which Mantis would amalgamate with Gondwana, and all of the issued and outstanding securities of Gondwana would be exchanged by the existing holders thereof in consideration of the issuance of equivalent securities of Mantis on a 1:1 basis. Gondwana and Mantis are arm’s length parties. Prior to closing, Gondwana proposes to complete a private placement of up to 700,000,000 special warrants (“Special Warrants“) to raise aggregate gross proceeds of up to $3,500,000. Each Special Warrant shall be exercisable, for no additional consideration, to acquire one unit (“Unit“) to be comprised of one common share of Gondwana and one common share purchase warrant of Gondwana (each, a “Warrant“). Each Warrant shall be exercisable for a period of five years from the closing date of the private placement into one common share of Gondwana at an exercise price of $0.05 per share. The Special Warrants shall be exchangeable by the holders thereof at any time prior to, and will be exercised on behalf of the holders thereof at, 5:00 p.m. (Toronto time) on the date which is the earlier of the following dates: (i) the last business day immediately preceding the completion of the Business Combination or a similar liquidity event (a “Liquidity Event“); and (ii) the date which is four months following the closing of the private placement (the “Qualification Deadline“). If a Liquidity Event has not been completed on or before the Qualification Deadline, each Special Warrant which has not yet been exchanged will thereafter be exchangeable, for no additional consideration, into 1.25 Units (in lieu of one Unit) (the “Penalty Provisions“). In connection with the Business Combination, the holders of common shares of Gondwana and Warrants issued upon exercise or deemed exercise of the Special Warrants shall be exchanged for equivalent securities of Mantis on a one-for-one basis. Mantis will apply to have the Warrants listed on the Canadian National Stock Exchange in connection with the Business Combination. Eligible registrants shall receive a cash commission equal to 7% of the gross proceeds they raise in the private placement as well as compensation options entitling them to acquire such number of Units as is equal to 7% of the aggregate number of Special Warrants they sell in the private placement, at a price of $0.005 per Unit for a period of five years. Any compensation options outstanding immediately prior to the effective date of the Business Combination will be exchanged for equivalent securities of Mantis on a one-for-one basis. The compensation options shall not contain Penalty Provisions. Mantis is a mineral exploration company engaged in the exploration for minerals on (i) the Orphan Gold Mine; (ii) the East Lingman Lake Gold Property; and (iii) the Cree Lake Property. For further details on the current mineral exploration activities of Mantis, please refer to SEDAR at www.sedar.com. Following the transaction, it is anticipated that Mantis will focus on advancing Gondwana’s petroleum assets in an effort to enhance overall shareholder value. It is anticipated that immediately following the closing of the Business Combination (and assuming that the there are no changes to the outstanding common shares or convertible securities of either company other than the private placement, and assuming the private placement is fully subscribed and the Penalty Provisions are not triggered), an aggregate of approximately 1,011,564,116 Mantis Shares will be issued and outstanding, of which it is anticipated that 200,000,001 Mantis Shares will be held by former Gondwana shareholders, 111,564,115 Mantis Shares will be held by existing Mantis shareholders, and 700,000,000 Mantis Shares will be held by subscribers in the private placement. Furthermore, it is anticipated that 912,950,000 common shares of Mantis will be reserved for issuance pursuant to outstanding convertible securities upon the closing of the Business Combination. There will not be any changes to the directors or officers of Mantis as a result of the Business Combination. 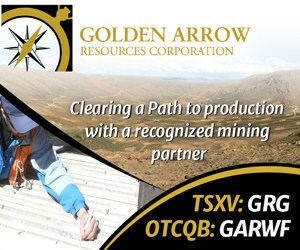 Completion of the Business Combination is subject to a number of conditions, including the approval of the Canadian National Stock Exchange, the execution of definitive documentation, the completion of satisfactory due diligence, and the requisite majority approval of shareholders of each of Gondwana and Mantis. The Business Combination cannot close until the approval of shareholders of both Mantis and Gondwana and all required regulatory approvals are obtained. There can be no assurance that the Business Combination will be completed as proposed or at all. Investors are cautioned that, except as disclosed in any management information circular to be prepared in connection with the Business Combination, any information released or received with respect to the proposed Business Combination may not be accurate or complete and should not be relied upon. Trading in the securities of Mantis should be considered highly speculative. Certain information set forth in this news release may contain forward-looking statements that involve substantial known and unknown risks and uncertainties. These forward-looking statements are subject to numerous risks and uncertainties, certain of which are beyond the control of Mantis and Gondwana, including, but not limited to, the impact of general economic conditions, industry conditions, dependence upon regulatory and shareholder approvals, and the uncertainty of obtaining additional financing. Readers are cautioned that the assumptions used in the preparation of such information, although considered reasonable at the time of preparation, may prove to be imprecise and, as such, undue reliance should not be placed on forward-looking statements.